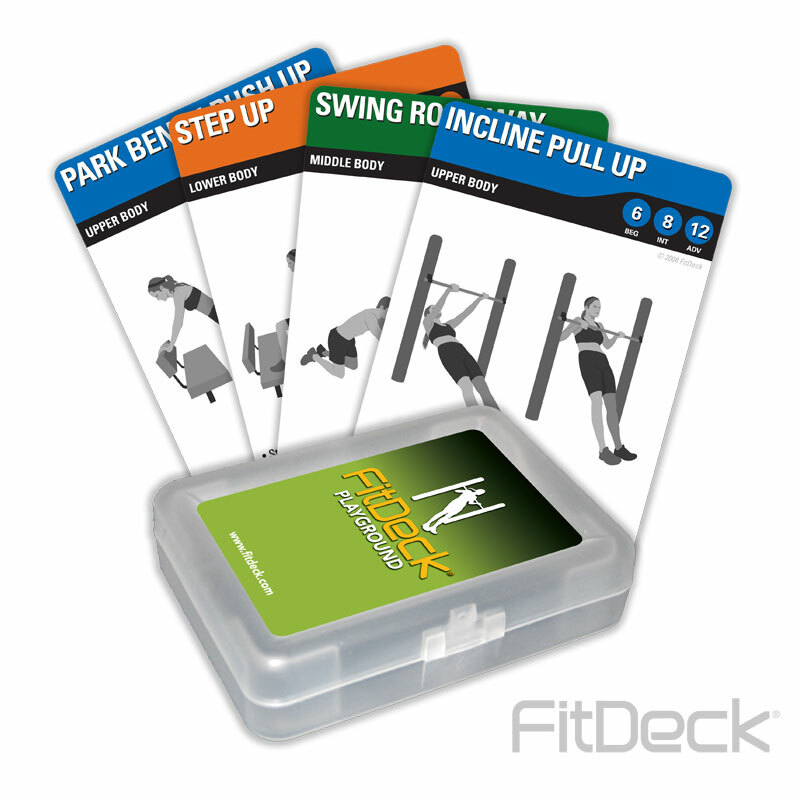 FitDeck ® Playground has been designed for parents who want to combine playground time with workout time. Contains illustrations & instructions describing 18 different stretches and exercises that can be performed on common playground equipment. Targeted Users: Men & Women (15-55 years).